The Blue Valley North forensics squad invites you and your students to the annual BVN Speech Invitational to be held on Friday and Saturday, February 8-9, 2019. Friday, February 8, we will offer four rounds of Lincoln-Douglas and Public Forum Debate. We will also hold two sessions of Student Congress. We will attempt to generate enough numbers to offer a Senate Chamber; however, if we do not get a minimum of 14 congresspersons entered in the Senate, we will collapse it into the remaining varsity houses. Saturday, February 9, the tournament will consist of three preliminary rounds of competition followed by a final round to determine placing and State Championship Qualifiers. 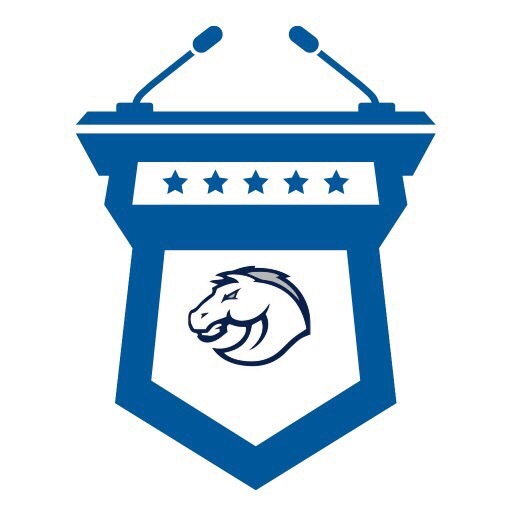 The events for competition will be: United States Extemporaneous Speaking, International Extemporaneous Speaking, Original Oratory, Informative Speaking (10), Impromptu, Dramatic Interp, Humorous Interp, Duo Interp, Program of Oral Interpretation, Prose and Poetry Interp. Please note that NSDA rules will apply to DX, IX, OO, INFO 10, HI, DI, and Duo. KSHSAA rules will apply to IMP, PRO, and POE interp. The tournament will be scheduled on Thursday, February 7th, so please make your changes before this date. There will be no refunds for entry adjustments after February 6th, 5:00 pm. Step 1: Proceed to Tabroom.com and begin the entry process. PLEASE request TBA entries as soon as possible. Step 2: Complete final registration on Tabroom.com. Final Registration will require that you enter names of students in respective events. This final step must be completed by Tuesday, February 5th at 3:15 PM. Thank you for your interest in attending this year’s tournament. We look forward to seeing you the second weekend in February. STUDENT PARTICIPATION: Students may enter three (3) events, with the following caveat(s): Do NOT enter the same student in the two extemp events. You may enter the same student in one extemp event AND impromptu. EXTEMP TOPICS: Topics will be written from current magazines and online new sources dated from January 1, 2019 to the present. IMPROMPTU TOPICS: Hard to say. TIME LIMITS: Judges will be informed of time limits for individual events as posted below. There may or may not be a timekeeper for all rounds. If there are no timekeepers, judges will be the final arbiters of time infractions. AWARDS: Awards will be presented to the top six finalists in each event. Sweepstakes awards will be presented to the top two schools. Sweepstakes points will be awarded to the the Top 16 entries as selected by the school. JUDGING: for Friday events, each school will likely be asked to judge 1 session of congress. For Saturday events, each school is allotted 18 entries with no judging burden. Every 6 entries, or fraction thereof, over 18 entries requires providing a judge. Additionally, there will be a 3-minute rapid-fire cross-examination period during finals of Extemporaneous Speaking. Speaker #6 will cross-examine speaker #1, speaker #1 will cross examination speaker #2, etc.